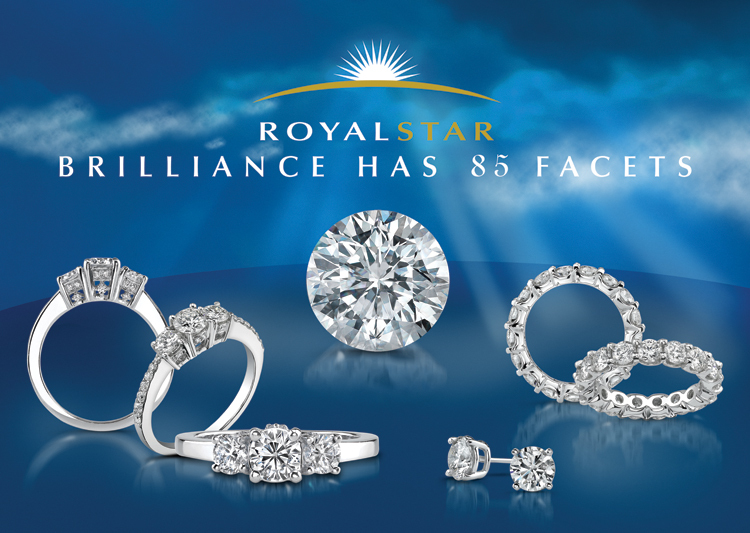 When comparing the light performance between a 58 facet standard round cut diamond and the 85 facet RoyalStar Diamond, you will see the difference with the naked eye. The RoyalStar diamond captures more natural light with its faceting, resulting in maximum brilliance and dispersement of white light. Every RoyalStar Diamond is laser inscribed with the RoyalStar trademark and an EGL Certificate number, which is unique to each diamond. The EGL Light Performance report provided with each diamond illustrates how much Brilliance, Contrast, and Radiance is dispersed from the RoyalStar Diamond. The 360 DNA (Diamond's Natural Attaction) is the overall light performance of the diamond. Each RoyalStar Diamond is hand selected and cut to exact standards, all diamonds must meet "Very Good" to "Excellent" cutting before it can be recognized as a RoyalStar Diamond.